The Department of Oral Medicine& Radiology conducted an International CDE on 28th December 2018 titled “OSA (Obstructive Sleep Apnea) – An Update for the Dental team. 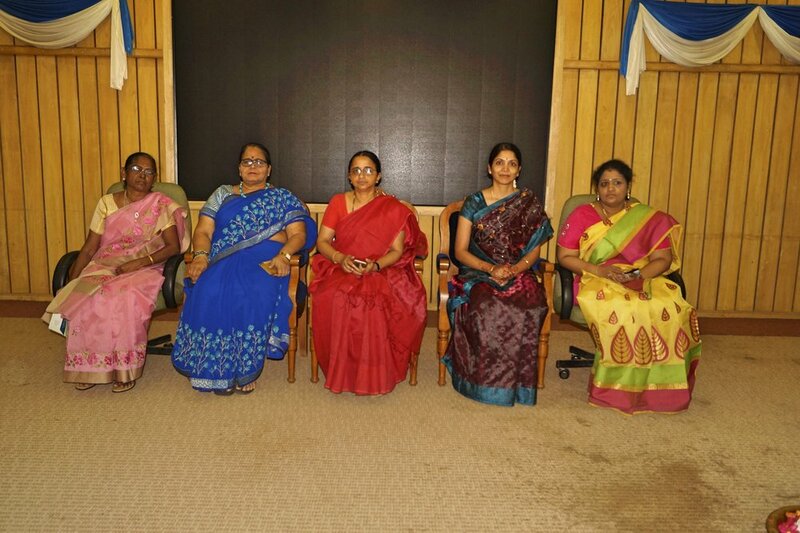 The Program was aimed at providing in-depth and elaborate knowledge on the upcoming topic of obstructive sleep apnea. The Program has International Speakers like Dr. Sowmya Ananthan DMD., MSD form Rutgers school of Dental science, USA and National Speakers Dr. Ranjana Kumari MS ENT , Dr. Mogit Gupta. Y & Dr. Subha . M , which led to the awarding of 3 CDE points by the Tamilnadu Dental Council of India through their order TNDC Approval Number 245/18. 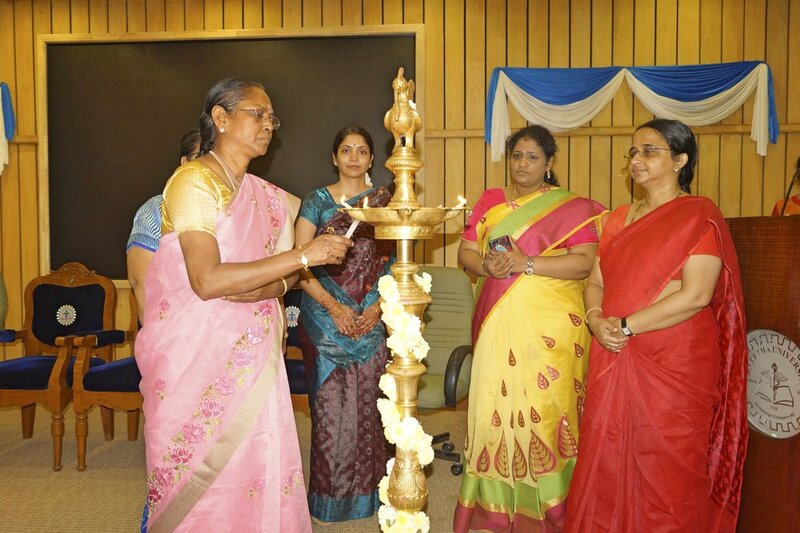 The CDE was inaugurated by Dr.Sheeja verghese , Dean Saveetha Dental College, with a complete ladies list of Dignitaries on the Dias representing the contribution of women in the field of Medicine. 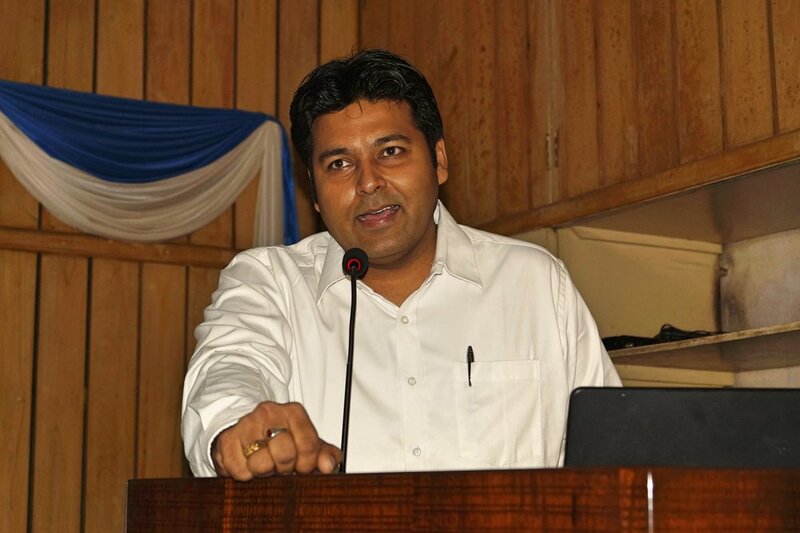 The CDE started with Dr. Mogit who gave the lecture on OSA – Understanding the disease process in which he explained the various epidemiological aspects of OSA and the Pathophysiology of OSA. Dr.Subha then gave a lecture on POSA and its long term implications which gave special emphasis on the pediatric OSA and the various clinical features and the long term implications of such patients. 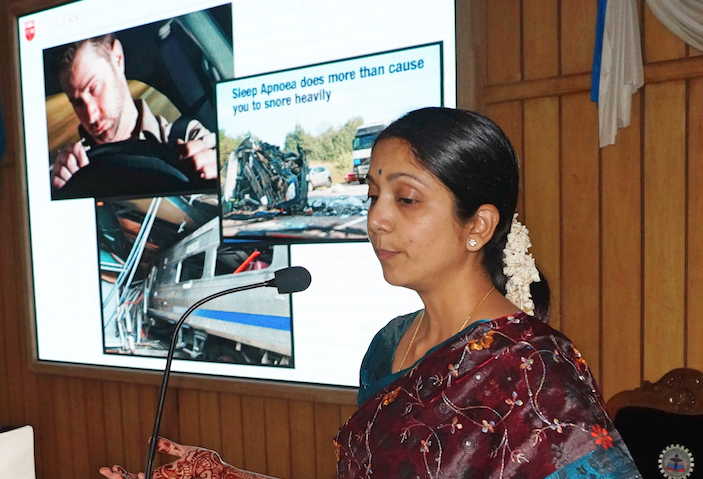 Dr. Sowmya’s lecture dealt with an indepth discussion on OSA, and the relationship with Orofacial pain and the various modalities with which a patient with OSA has to be managed. 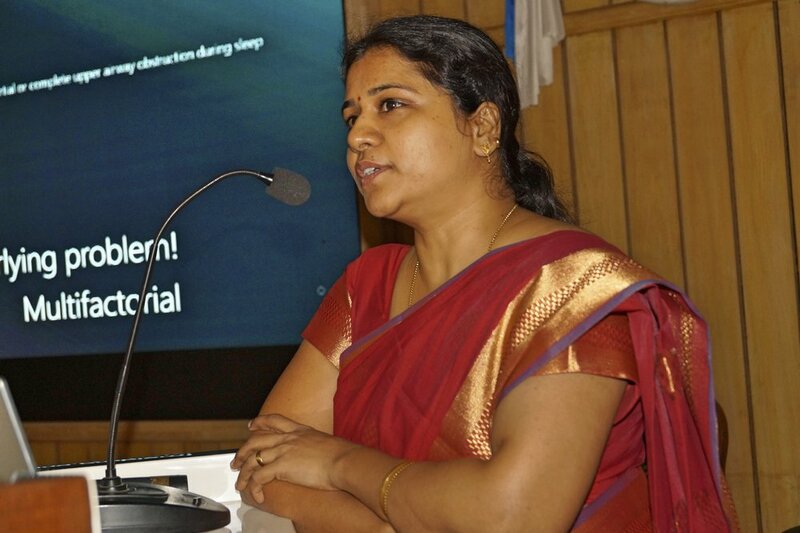 Dr. Ranjana then spoke on the medical and the dental connect of OSA and gave insights on the ENT aspects of OSA and ended her lecture by showing various surgical management of OSA. There were a total of 62 participants who were from USA (1) , other parts of India (1) and Tamilnadu (60). The participants were not only dentists but also medical professionals who deal with OSA in their day to day practice. 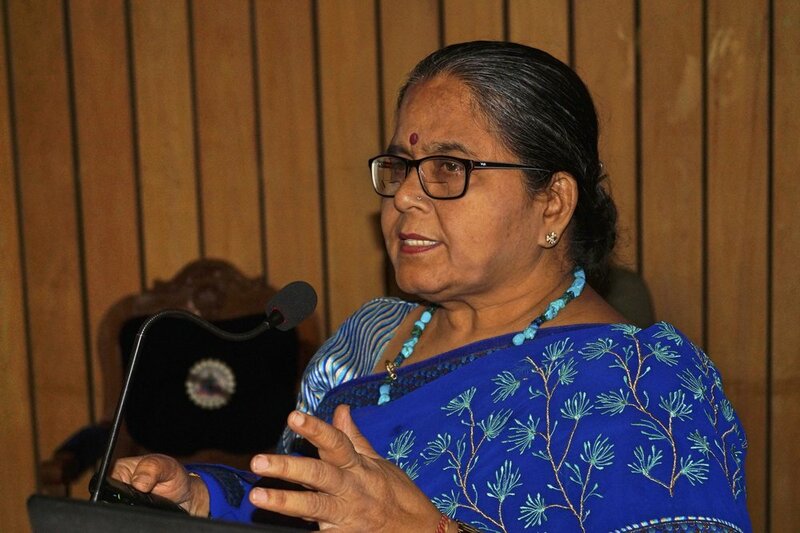 All the participants appreciated the uniqueness of the program choosing OSA in which there are various avenues of research. They gave a positive feedback about each guest lecturers and expressed their interest to take part in further CDE organized on similar topics.